The Patriots Bring It Home To Boston... Again! Congratulations to the New England Patriots, our new Super Bowl XLIX Champions! We are proud to be small business in the city of Boston where teamwork & team spirit go above & beyond. 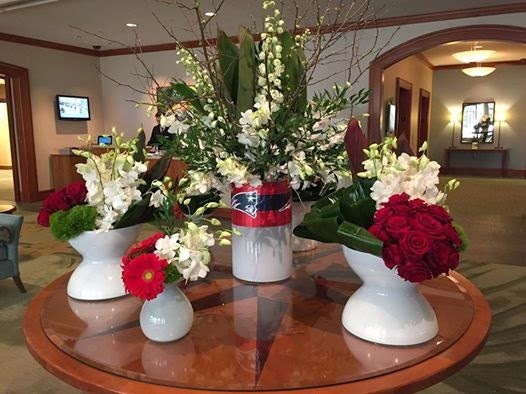 This is the beautiful display of custom floral arrangements we designed for the Seaport Hotel Boston in support of the Patriots for Superbowl Sunday.